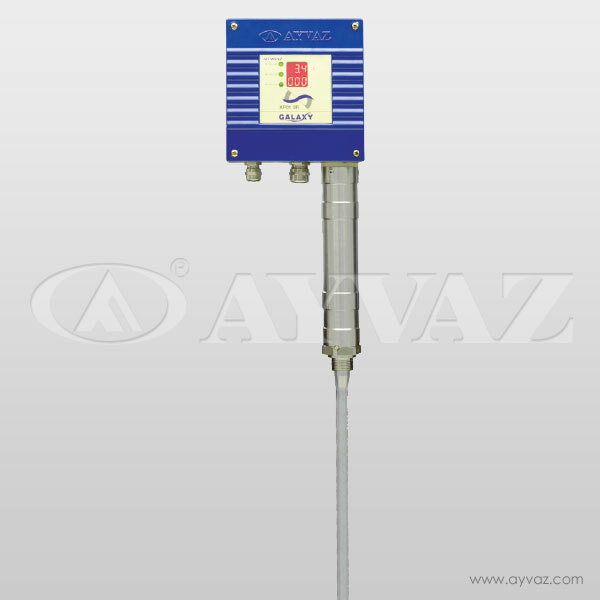 Ayvaz KP-01 Capacitive Level Controller works according to capacitance measurement principle. 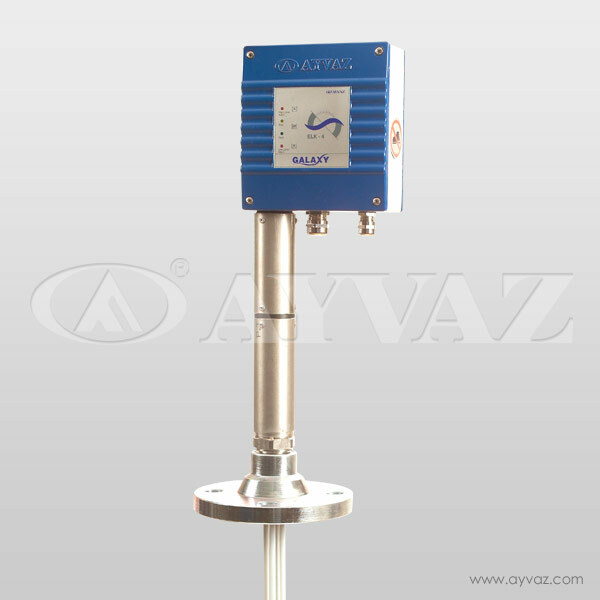 It is used to display continuous levels in conductive and non-conductive liquids. 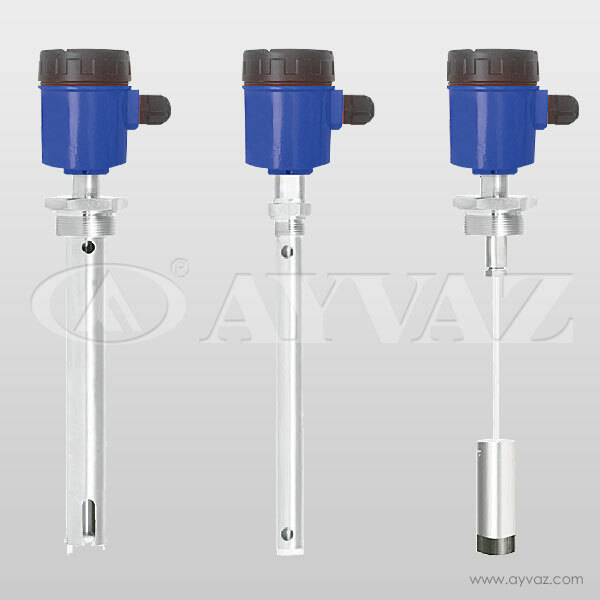 KP-01 comprises a level transmitter which is integrated into the electrode that produces a standard analog signal of 4-20mA. Analog output of 4-20mA can be monitored from the display located on the panel protection box. KP-01's display both 4-20mA analog output and liquid level as percentage in tank or the boiler. A specially designed and winglet- fit cooling pipe is used for heat insulation of the electrode. Capacitance measurement principle is used to indicate the level. Electrode rod and vessel wall form a capacitor. It is basically based on the fact that the value of a capacity is affected by dielectric value of the substance between the plates and from the plate areas, as well as from the distance between them.As the area of the electrode and tank wall is fixed, the only variable thing is the substance inside the tank which plays a dielectric role. If the level of such dielectric substance changes, the current running through the plates would change proportionately, as well. A dielectric is defined as an insulating substance which keeps many liquids such as water outside. Dielectric constant of air and vacuum is 1 while it is bigger than 1 for other substances and therefore, capacity changes in line with the change in amount of the substance inside the tank. In order to obtain a useful result of measurement, measuring rod (dip stick) dipped at various depths into liquids must be insulated entirely. 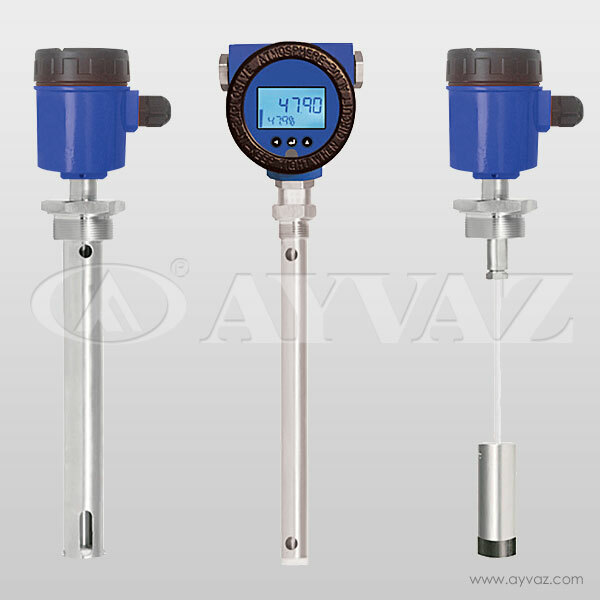 After zero point measuring range is adjusted, level can be read through the display unit.